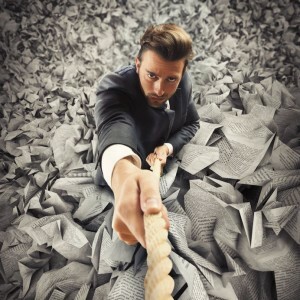 In today’s economy, it is not uncommon for companies to experience financial difficulties, and some may even have to file bankruptcy or close temporarily. The lucky ones are able to reorganize. Just because a company declares bankruptcy, it is not absolved of all insurance requirements. Here are a few important facts company owners should know concerning insurance, bankruptcy and company reorganization. Any insurance that is compulsory for companies must be continued even if a company is filing for Chapter 11 (reorganization) or Chapter 7 (liquidation). State and federal financial responsibility requirements must be maintained. Any contracts requiring insurance coverage will still need to be upheld, meaning if a contractual relationship requires liability or another type of insurance, the insurance requirements still apply for as long as the contractual relationship exists. Basically, companies experiencing financial difficulties including bankruptcy and reorganization should maintain insurance coverage. Some insurance companies may issue a cancellation of coverage once they learn of an impending bankruptcy or a renewal policy may not be offered. This will vary based on the insurer and on state insurance laws. Claims against a company’s in-force insurance policies at the time of bankruptcy may be paid through a dedicated trust fund set up as a source of recovery for claimants. A bankruptcy court approves provisions made to satisfy insurance claims. Bankruptcy laws concerning insurance during bankruptcy or reorganization may vary by state so it is best to seek legal advice from a qualified bankruptcy attorney in your area. All companies sometimes experience financial hardships, but it doesn’t have to mean the end of the road for your business. Consider a qualified financial counselor to help your business work through difficult times. If you do file bankruptcy, consult with a business insurance professional to make sure you maintain any federal- or state-mandated insurance requirements. The company matters: Price is a part of the insurance equation, but it shouldn’t be the most important piece. Cheaper is not always better. You want to work with a company that has experience in dealing with claims, an understanding of what your business needs coverage for, and a service team to help you in case you need to file a claim or have questions about your coverage. Tell the truth: You don’t want to leave out any information that’s asked for when a company is putting together a quote. 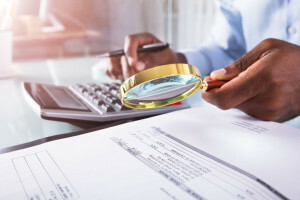 Even if somehow you were able to score a lower rate, the insurance company isn’t obligated to cover anything you don’t tell them about or something that they covered under false pretenses. Re-evaluate regularly: Insurance isn’t always a one and done deal. Your business changes regularly and it’s important to communicate these changes with your insurance broker. Make sure to actively review your policy paperwork at every renewal period to ensure that your coverage is right for your business. Don’t be afraid to go over your coverage options with your broker. They’re there to help! Buying insurance doesn’t have to be stressful or complicated. A reputable broker will take the time to listen, explain all your options, and help you figure out what coverage you need to make sure the process is as easy as possible. Let us help design the right insurance program to fit the evolving needs of your business. http://accurateprotection.com/ to make sure that you have the best insurance for your business. Running a business is a rewarding journey. But even the best business owners can’t plan for every liability. Every year, businesses everywhere experience some form of financial or property risk. Here are the top insurance claims businesses make. Theft: The most common insurance claim is to cover instances of theft. This can come from internal loss, such as employee fraud or customer theft. Property damage: A large percentage of business claims are to repair the damage done from weather. That can include serious structural damage, including a roof or pipes damaged from cold weather, as well as wind and hail damage. Fire damage: Fire can destroy property quickly, unfortunately. This is a serious claim that businesses owners would rather not find themselves having to make. Customer injury: Businesses that host in-store customers are vulnerable to customer injuries. Customers can slip and fall in cold or wet weather, if the floor is being cleaned, trip over inventory, or even have stock fall on them. And if the public is regularly in your location, this can be an even more serious hazard. Product liability: Companies that manufacture products that customers buy – cars, toys, appliances, etc. – occasionally end up taking out claims because their product was faulty. Claims because of product failure are usually for the costs associated with recalls or customer injury. Vehicle accidents: Claims from vehicle-related accidents are becoming more common. Businesses who use fleet education and accident prevention can reduce those claim numbers even further. Make sure you avoid a costly lawsuit or other business-damaging claims. Protect your assets with an insurance plan that takes the time to understand your business and create a risk management plan that works for you. Preparing a risk management plan is a foundational part of securing your business. There are many kinds of risks that businesses are vulnerable to, and it’s important to have a plan in place to help mitigate damage and keep your business secure. 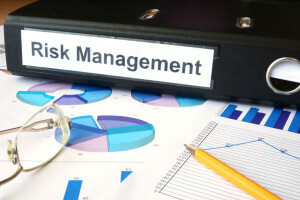 Here are some of the steps to take to get your risk management plan in a good place. Understand your risk categories: Most businesses face risk in several categories, meaning their risk management plan needs to address multiple areas of business. Areas like business strategy, compliance issues, operations, financial, and risk to reputation all need to be considered in creating a risk management platform. You must understand what policies need to be in place and what trainings should happen to prevent risk in key areas. Ask questions: Brainstorm about some of the situations that would disrupt your business. What would happen if there was a natural disaster that prevented access to your building? What happens if someone is injured on your premises? What if that person is a customer? What happens if access to the internet goes down or your business suffers a cyberattack? What’s the plan if the power goes out? What happens if your staff strikes or members of your team quit? Having a plan in place for some of the worst-case scenarios is one of the important parts of risk management. Invest in expertise: It’s not your job to predict the future, just plan for it. A professional risk management company has plenty of experience and can help you best understand the risks specific to your business, helping you to create a custom risk management plan for your company. A strong partner like Accurate Protection has seen a lot of companies through some of their biggest business problems and helped to reduce or manage risk and loss through the biggest challenges and most unexpected circumstances. We can help your business reduce risk and strengthen your overall business strategy. Get in touch today to get a plan in place to help you meet your legal obligation to workplace safety, as well as protect your business assets. What does business insurance really cover? We’ve all heard that story – the “I didn’t know it wasn’t covered” story. People who get in a car accident didn’t realize that they’re not covered for renting a car while their vehicle is repaired, or homeowners find out they aren’t covered for flood damage when they go to file a claim. How do you keep this from happening to you at your business? General Liability: This is coverage against claims for injury on your business property. Product Liability: This offers protection in the event of faulty products that lead to damage, illness, injury or death. Property Insurance: Protects your commercial business property against losses caused by fire, storms, or other damage. Commercial Vehicle Insurance: Covers damage company vehicles, injury to company employees, and overall provides protection against company liability in the event of an accident. 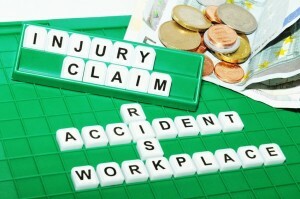 Workers Compensation: Coverage for your employees in the event of illness or injury at the workplace. Cybercrime Insurance: This is relatively new type of insurance that can help provide protection in the case of a cybercrime, like data theft or loss of revenue due to a website being compromised. The biggest key to making sure you don’t have any gaps in your coverage in case of a crisis is working with someone who can learn about your business and make the recommendations that are right for you. 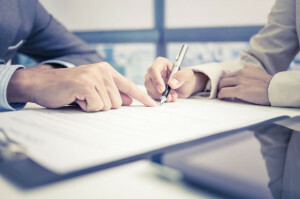 It’s important to work alongside an expert to create your policy; it’s equally important to take the time to read and re-read the policy contract to make sure everything you want is there and that you understand all the fine print before signing. While there are plenty more exciting things to spend your time reading in your business day – like soaring sales reports – this document is one of the most foundational in securing your future. Whether your business is brand new or an established pillar of the community, we can make sure that you’re covered for what you need and ensure there are no gaps in your coverage. To help examine your current coverage or create a custom coverage proposal for your business, call us today.